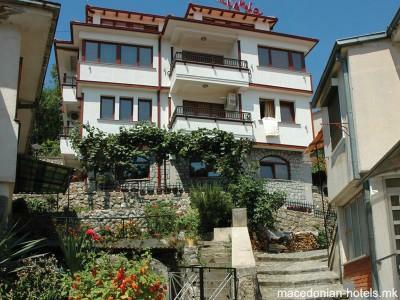 Villa Mia is an attractive new villa, designed and constructed in a new style that fits in the old architecture recognizable old town with a beautiful panoramic view of the Ohrid Lake. Villa with DE LUX offers suites that are equipped with TV receivers cable TV, Internet connection (WiFi), direct dial telephone, air conditioning, mini bar, free parking, with one a word - all you may wish for a good holiday! 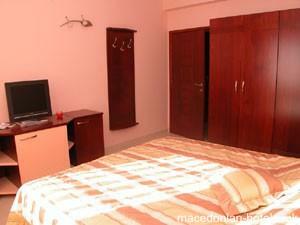 0.11 km distance from Ohrid main square. 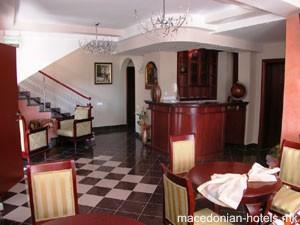 Online booking or contact for Villa Mia is unavailable. 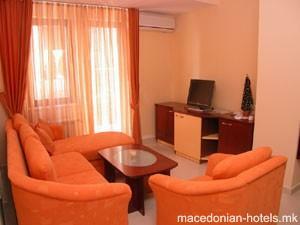 We are sorry, but macedonian-hotels.mk doesn't provide any data for booking or contacting Villa Mia.